Well always say there’s no other realer celeb live his/her best life on social media like singer Akothee. 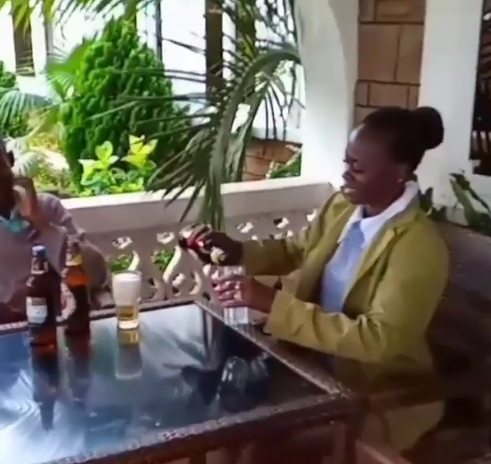 Akothee shows her true life on Instagram, almost every bit and none is filtered. Well the singer has made news yet again after firing one of her employees. Akothee for a long time now has been complaining about her shamba employees and how they sometimes make her reap loses just because they are lazy and disconcerted. 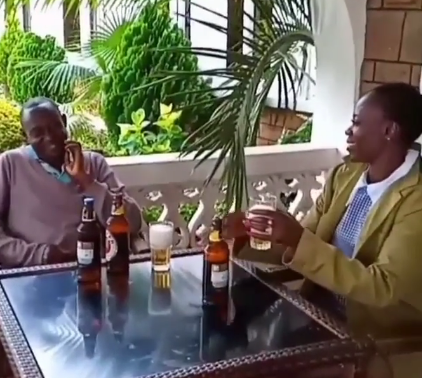 Recently, she took to instagram to post a video sharing a couple of beers with one of her shamba boys after she fired him. “Me and mogaka after a handshake of partying ways,” she said. According to an earlier post she made, it seem the worker was stealing milk from her. She said that she’s been losing a lot of money because of her employees and now she had to cut some.